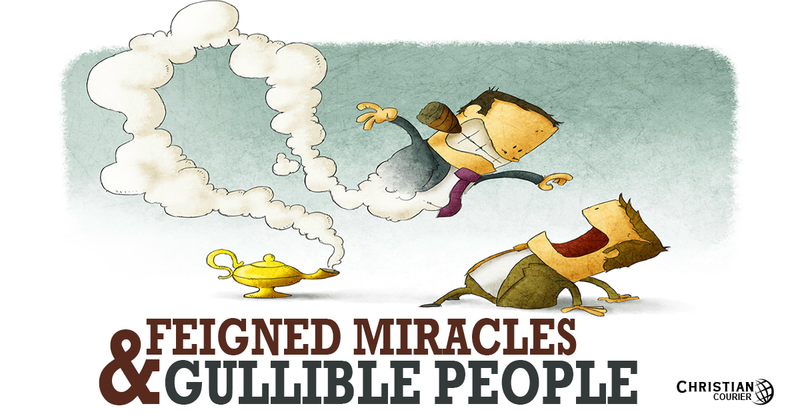 There are hucksters in religion, and multitudes fall for them. Let me give you a couple of recent examples. This was a money-raising scam. The letter—authored by Paul Eshleman, director of the JESUS Film Project—was sent under the auspices of Campus Crusade for Christ International out of San Clemente, California. In the left margin of the first page were photos of Billy Graham, Bill Bright, and well-known artist, Joni Eareckson Tada (a quadriplegic who paints beautiful pictures with a mouth-held brush). With these dignitaries endorsing the letter, I was even more anxious to examine the evidence. Here is the story. When I read this “testimony,” the first thing that came to my mind was the biblical narrative regarding the rich man who died, and then remembered that his brothers back on earth were in danger of entering eternity lost. He therefore sought permission to leave the Hadean realm, returning to his kinsmen on earth with a message of warning. The text in Luke 16 unequivocally affirms that he was denied the privilege. Abraham informed him that if one refuses to be convinced by the Scriptures, he would not be led to believe even if a messenger returned from the dead (Luke 16:27ff). But according to this promotional letter, the resurrected girl in India lived for seven days more (before she died again). During this time she told her story repeatedly; supposedly, hundreds “became Christians” as a result. I guess “father Abraham” really didn’t know what he was talking about after all! A miracle? I can’t prove it to you. There’s no death certificate. No doctor’s report. I can tell you that people in rural India do know death when they see it (emphasis added). So now we get an appendix to the story—one, incidentally, which is ruptured! Don’t ask for evidence. There is none. There is no proof that the girl actually was dead. In fact there is no documentation of any sort that this incident happened at all. Eventually, Mr. Eshleman came to the main point. He wanted me to send $50 to help with the JESUS Film program. One hundred dollars would be even better. Everyone knows this poor lady’s condition is genuine and dire. Were she suddenly to “rise and walk,” there would be no question but that a miracle had occurred. Why don’t we ever see those kind? Then there’s the matter of miraculous gold teeth. Several large Pentecostal groups have claimed that God visited their services and blessed certain of their members with gold teeth. More than three hundred of these accounts have been circulating among the Charismatics (those who claim miraculous gifts). For example, Pastors Joel and Linda Budd of Tulsa, Oklahoma are affiliated with the Open Bible Fellowship in that city. According to a report in the June (1999) issue of Charisma magazine, Linda Budd’s eighty-year-old mother was twice visited recently by the Lord. She received five gold crowns on one occasion, and two others at a different time—actually while she slept one night. “Beloved, do not believe every spirit [i.e., teacher], but test the spirits, whether they are from God: because many false prophets have gone out into the world” (1 John 4:1, NASB). This is not a joking matter. It’s serious business to make claims asserting direct intervention by God. See our article, What Does the Bible Say About Miracles?.